This recipe is based on the idea of a Chutney Pudi/Podi that is generally eaten along with Idlis or Dosas. Once you’ve made this Spice Powder, you can mix a couple of teaspoons of it with a bit of coconut oil (or other oil) or some curd, something to carry the flavour through, and use it as a condiment. Other than Idlis and Dosas you can also add it to your salad dressing, and I’m guessing you can mix it in to your vegetable side dishes too! As you know flax seeds and sesame seeds are awesome! Flax is a great source of omega-3 fatty acid. Sesame is great for calcium. Oh, and the recipe is super simple. So yes, a lot of super going round this post. This recipe is suitable for diabetics, weight watchers, seed enthusiasts, and chutney podi connoisseurs. Think healthy, cook healthy, and send in your diabetic-friendly recipes for everyone to enjoy! Click here for details on how to participate, it’s easy! So far, we have dishes from Sonal (SimplyVegetarian777), Divya (Chef Divya), Sofia (Papaya Pieces), and Dimple (Shivaay Delights). Love the presentation. 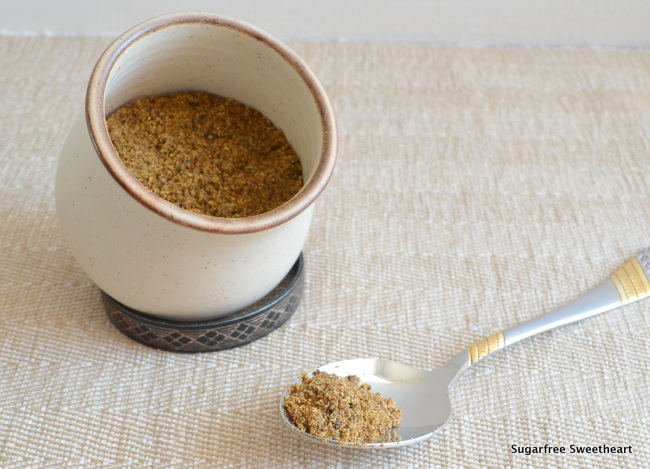 We have the Flaxseed chutney podi/ pudi regularly at home. 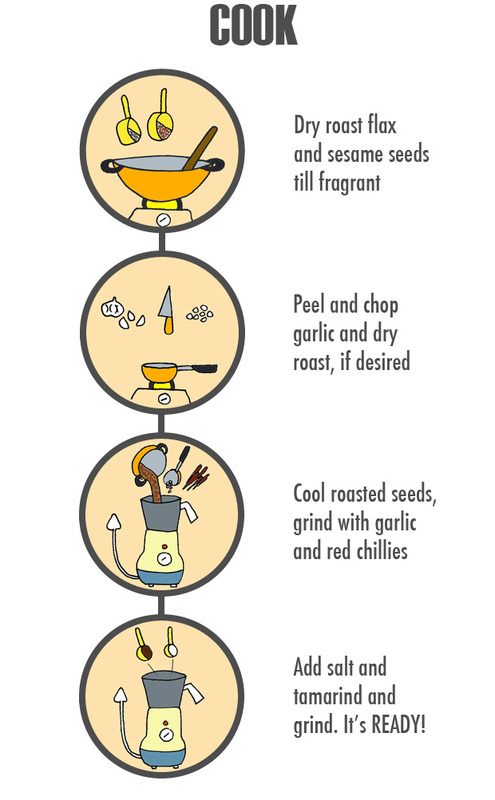 There are times , i’ve used it with some Moong dal and it tastes great. Its a handy pudi to have in the kitchen ! I’ve to try it with moong dal now! 🙂 Thanks for the idea, Kumu! I see you’ve added to the Super-ness of this post with a super in the comments! 🙂 Thanks Shams. 😀😀 What a great & tasty idea this is! Yum Yum Yum!